Help Center2. Help2.2 GlossaryWhat is a polygon? Most companies are interested in maps with polygons or shapefiles. Postal code polygons can give more information about the exact boundaries of a certain area. These boundaries are drawn by adding a great amount of points that are connected to each other. 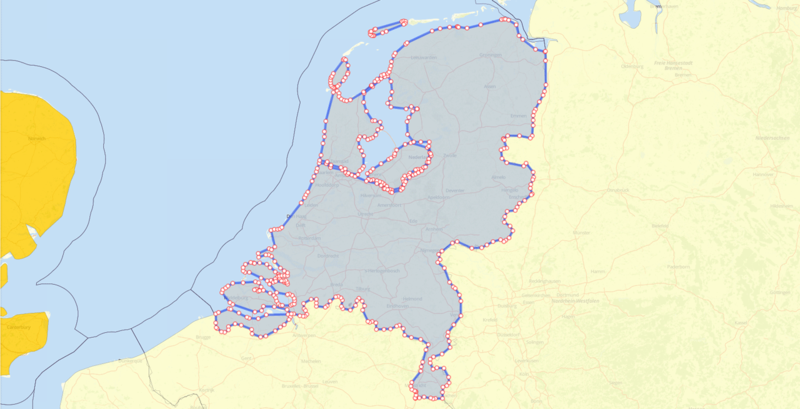 To draw a polygon on the map, you need a specific geometry (GEOM) in your dataset. The geometry in a dataset is more difficult to produce. In contrast to drawing points on the map, polygons need a certain geometry where every connection point is described with Latitude and Longitude values. That makes the geometry of a polygon a very large line of characters, because every connecting point should have a latitude and longitude. When you want to add zip code polygons to add to your mapbuilder account, but you don’t have any GIS / data mapping experience, we advise you to buy one of our datasets with the postal code boundary data (polygons). This saves you a lot of time and effort.